FERNIE, BC – Fernie Brewing has announced the upcoming release of a new beer in its bimonthly Limited Release IPA series. Similar malt base to our popular Lone Wolf IPA, but less bitter and more late hop/dry hop. Quite fruity and tropical in flavour, featuring Enigma and Vic Secret – 2 newer Aussie varieties not seen much in BC. Along with Galaxy, Ella and Topaz. 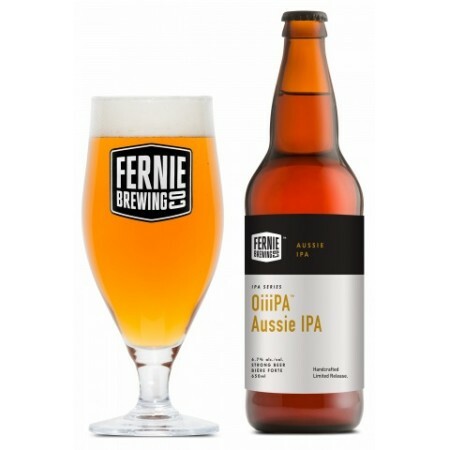 OiiiPA Aussie IPA will be released in October in 650 ml bottles and on tap, and will be available in BC, Alberta, and Manitoba (bottles only). It will be followed in the series by the return of Snowblind Belgian IPA in December.